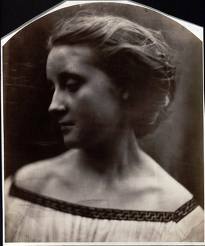 Julia Margaret Cameron, 19th-century self-portrait pioneer, currently on exhibit at the Metropolitan Museum Of Art. THE TITLE OF THIS POST IS ONE OF MY FAVORITE LINES IN ALL OF BOB DYLAN’S PRODIGIOUS OUTPUT, coming from The Ballad Of Frankie Lee And Judas Priest, on the John Wesley Harding album. I often pop the phrase into casual conversations where it’s clear that more heat, rather than light, has been generated. Nothing to see here, folks. No new ground has been broken. No fresh truth has been unearthed. This phrase came back to me a while back when looking at the raw statistics for Instagram, which indicates that, currently, over 90,000,000 images on the foto-share service currently bear the hashtag “#me”. Call them selfies, call them an epidemic of narcissism, call them banal. But don’t, for the love of God, call them portraits. How has it come to this? How can merely pointing a phone camera back at your own punim, and saturating it with distortion and over-amped flash, pass for a telling testament to who you are, what you dream, what you represent in the world? Of course, the tselfie tsunami does none of these things. It actually puts distance, if not actual barriers, between your real self and the world, by creating some lifeless avatar to ward off true discovery of yourself by, well, anyone. By comparison, even the four-for-a-quarter snaps of antique photo booths are searing documents of truth. to try to give testimony, recording innovative, penetrating evidence of who they were. Currently, a show featuring one of the medium’s greatest pioneers in this area, Julia Margaret Cameron, is packing them in at New York’s Metropolitan Museum of Art, and with good reason. Cameron’s attempts to capture herself in not only natural but fantastic settings led the way for interpretive portraitists from Richard Avedon to Annie Liebowitz. 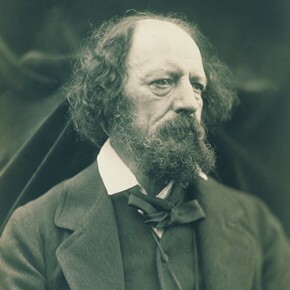 Along the way, she learned what to look for, and immortalize, in the faces of others, including Alfred Lord Tennyson, Charles Darwin, Robert Browning, and other bright lights of the 19th century. This entry was posted on September 12, 2013 by Michael Perkins. It was filed under Composition, Exposure, Frame, Portrait, Self-Portrait, Selfie, Silhouette and was tagged with Julia Margaret Cameron, Metropolitan Museum of Art, Richard Avedon, Selfie.